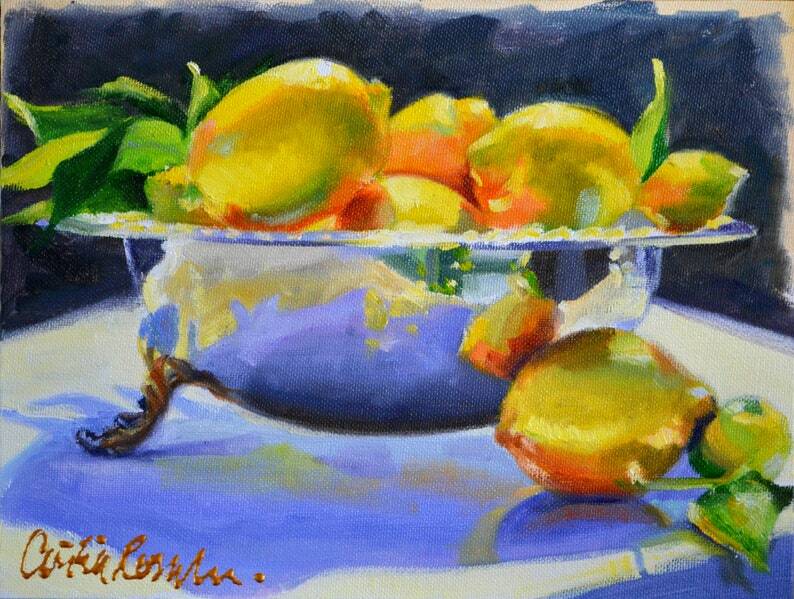 This art print of MEYER LEMONS IN SILVER is a beautiful still life of bright colors reflected in a silver bowl and yellow lemons. A fantastic gift or a fabulous addition to your home! This is a great print!Thank you for the beautiful note cards,too! Thank you very much for the beautiful art print. It is absolutely lovely. The art print was received in excellent condition and wrapped with great care. Delivery was very fast. Good honest seller. Cheers. Thank you very much for the beautiful art print. It is absolutely lovely. I really love your work and I am very pleased to have this lovely art print. Print was received in excellent condition and packed with great care. Very prompt delivery. Good honest seller. Thank you. Delighted with my purchase and with the whole transaction. Will recommend. LEMONS ON DELFT Art Print in blue and yellow | Blue and white Porcelain Painting by Cecilia Rosslee | Lovely gift for her! 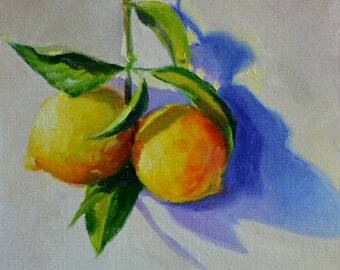 This is the 3rd original painting I have purchased from Cecilia. It arrived in perfect condition and very timely. Wrapped beautifully. She is professional and courteous to deal with and cares greatly about her customers and their satisfaction. I highly recommend her work and her business etiquette. I'm thrilled! LYONS HEAD ART Print of Roses in the Garden | Oil Painting by Cecilia Rosslee | Lovely housewarming gift!